Promotional events, trade shows, office parties, and more - our staff is ready to make your event even more memorable. Marketers promoting a new product need to draw in a crowd of interested buyers. They can provide a variety of enticing offerings: free trials, free pens, or free consultations. What about a free massage? Participants won’t just feel the effects of the massage; they’ll feel that your business truly cares for their health and wellbeing. Spa Flow therapists can even wear your branded apparel, if requested, or distribute samples to help spread your message. Spa Flow therapists can provide pre- and post-event massage for any sporting event. Vigorous exercise can put a strain on the muscles and lead to increased soreness. Fortunately, an on-site chair or table massage can fix that. Massage therapy has been proven to alleviate sore, tight, and tense muscles to improve mobility and blood flow. Whether you’re hosting a bike race, running race, golf, volleyball tournament, or 5k marathon, our licensed therapists are there to help with muscle recovery and prevent muscle soreness. Spa Flow’s experienced therapists bring the soothing relaxation you could find at a spa directly to your corporate event, all at an affordable rate. On-site chair massage is guaranteed to make your annual meeting, employee appreciation, or fundraising event an absolute hit. 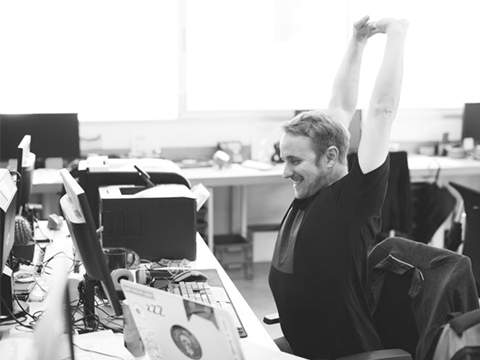 Our cost-effective chair massages can last from five to 30 minutes, and accommodate to large or small events for your team. We can also provide hand massages. Massages are an excellent way to thank corporate sponsors, VIPs, or volunteers. 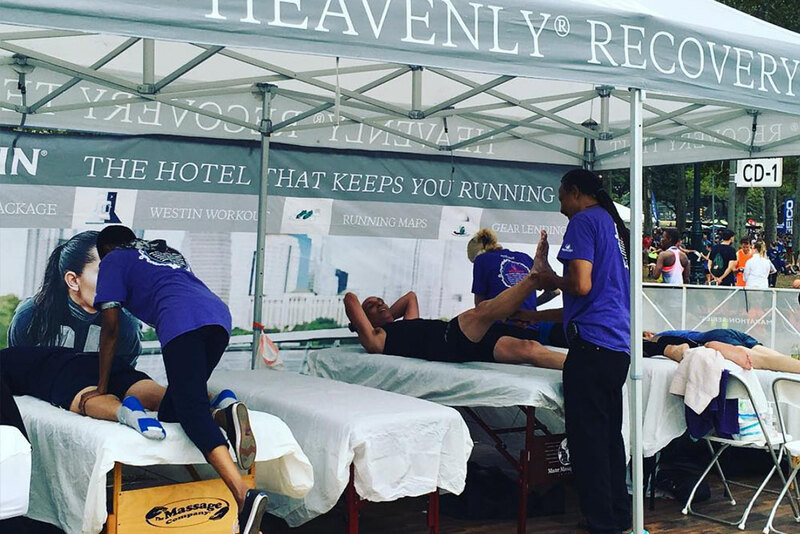 Our on-site event chair or table massage can add great value to your fundraiser or event sponsorship package. Show your fundraising participants that you not only care for the cause, but also their wellness. A typical massage session can last a quick five minutes, or 30 minutes of pure relaxation. If you want to increase your sponsor’s visibility, consider spicing up your event with a chair or table massage. If you know you want to spruce up your event with an onsite event chair massage, but not sure what you need, we can help you. Our staff will work with you to make sure your event leaves a lasting impression. Give us a call or fill out the quote request form to get started.